The M61 has now fully reopened after a serious car crash. Emergency services were called to the northbound at Junction 6, near the Rivington Services at 10.40am after a Toyota came off the motorway and landed in an embankment. Police said a man suffered internal and leg injuries and was taken to hospital by ambulance. 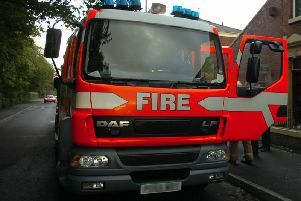 Two lanes of the motorway were closed for more than four hours to allow for recovery work and accident investigation.